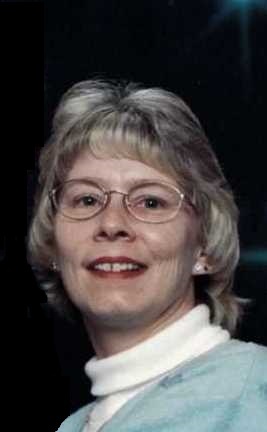 Paula M. Krone, 62, of Litchfield, IL, passed away Tuesday, February, 12, 2019 at 12:19 P.M. at her residence. She was born on June 7, 1956 in Springfield, IL, a daughter of John and Thelma (Renz) Tate. Paula graduated from Glenwood Chatham High School with the class of 1974. She married Don W. Krone on September 3, 1977 in New City, Sangamon County, IL and he survives. She worked at several different grocery store locations including Jansen Red Fox and IGA in Hillsboro, IL. She also worked for Mullins Salvage in Mt. Olive, IL for several years. Paula loved her animals, especially her dog, Buster. Along with her husband, Don of Litchfield, she is survived by her son, Will Krone, also of Litchfield. She was preceded in death by her parents, son, Matthew J. Krone and granddaughter Ryleigh Ann Griffith. Graveside services will be held Friday, February 15, 2019 at 11:30 A.M. at the Oak Grove Cemetery in Virden, IL. A family friend will officiate the services. The family suggests monetary donations be directed to the Montgomery County Cancer Association.